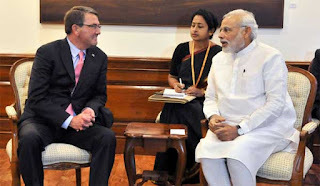 Whenever any incident of terrorism happened in India, US demanded Pakistan to bring the culprits to justice on the allegations of India. Such like demand was repeated by USA in January 2016, after Pathankot Airbase attack. Due to the US pressure not only a case was registered against unknown attackers in Pakistan but few arrests were made as well in the light of the Indian allegations. Moreover, Pakistan sent an investigation team to India, which was accepted by India unwillingly and practically no support was provided to this investigation team by India. US kept suspicious silence over Indian attitude. In the meanwhile the investigation officer, investigating the Pathankot attack was murdered in target killing in front of his family. Not only in the India but all over the world for those persons who had suspicion that Pathankot airbase attack was an act of Indian establishment, this murder provided a strong base and evidence for their suspicion that whole attack was staged by Indian agencies with which Pakistan has nothing to do. US remained silent on this murder as well because US interests linked with India does not allow her to raise the voice against Indian conspiracies. 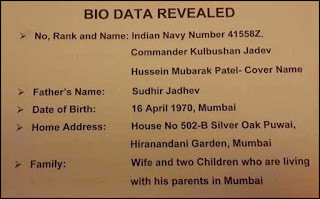 Not only Pakistanis but whole world was jolted when Pakistani Intelligence Agencies arrested a senior Indian RAW officer, active in Balochistan since long time. 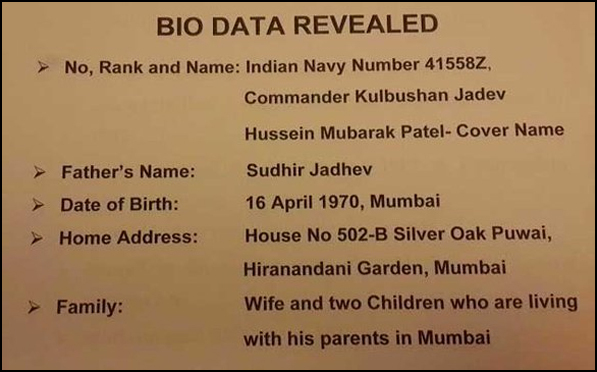 Arrest of a senior armed forces officer of enemy country was a unique and strange incident in the modern era. After arrest Indian state actor (terrorist) confessed all of the activities in which he was involved for the last decade and also informed Pakistani investigators about the future plans of terrorism in Pakistan by India. However, US remained silent over the arrest of Indian terrorist from Balochistan. When US State representative was asked to comment over the arrest and disclosures of Indian terrorist from Pakistan the reply was, “We are observing the situation”. US should have at least condemned terrorist activities by RAW in Pakistan or adopted same wording which she adopted after fabricated allegations of terrorism by India against Pakistan and pressurized Pakistan to DO MORE. US and US intelligence agencies are well aware in the way Pakistan braved the wave of terrorism since 2002, in the way terrorism was pushed into Pakistan from Afghanistan and all the sacrifices of civil and armed personnel for safeguarding integrity of Pakistan. Because terrorists involved in terrorism in Pakistan had the support and supervision of RAW and Afghan intelligence agencies while CIA was involved as well in this bloody game. If we calculate the explosives used in the suicide bomb blasts since 2002 it weighs into thousands of tons. If we calculate the cost of the vehicles used in these terrorist attacks in Pakistan, the figures are astonishing. Did not USA knew that who was funding, training and providing technical assistance to the terrorists? When despite of being aware of the foreign supporters of the terrorism in Pakistan which claimed more than sixty thousand innocent lives; US adopts policy of silence against these foreign funders than concerns of Pakistanis regarding integrity and future of Pakistan are natural. In such situation the importance of nuclear assets for Pakistanis increases manifolds. If USA pressures Pakistan to reduce nukes then this is nothing more than biased attitude of US. Reacting to this dual standard of USA, Pakistan’s permanent representative to UNO Maleeha Lodhi made the importance of nuclear assets for integrity and safety of Pakistan clear during her address to the UNO in New York for the session of UNO for reducing Nuclear assets. 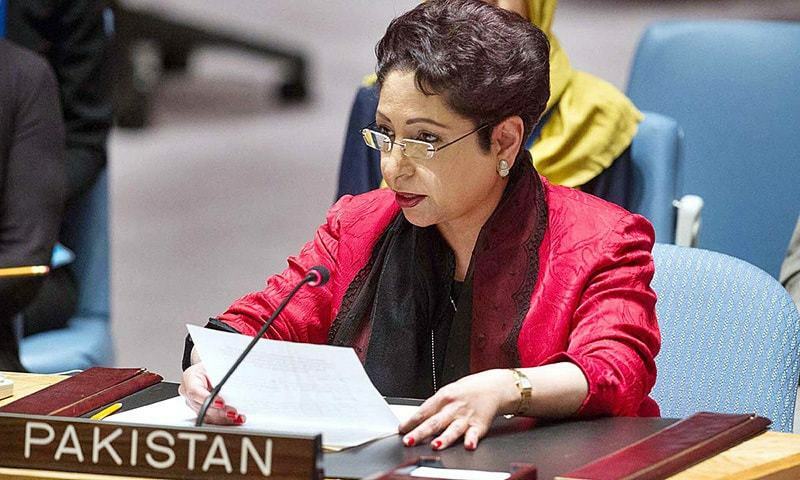 She made it clear to the whole world that how much important Pakistan nukes are for the balance of power in the region. She criticized the dual standards of international powers over reducing nukes for less developed countries which is creating feeling of insecurity among less developed countries. She said that these big powers are themselves living peacefully but fueling wars among under developed countries for selling their traditional weapons. She said these big powers pressure less developed countries for decrease in nuclear arsenal but they are not ready to decrease their own nuclear arsenal. 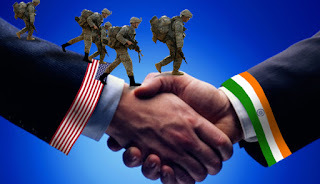 The protest of Pakistan in the UNO was based upon reality could be imagined from the declaration of US Secretary Defense in which in spite of resolving the disputes, USA is supporting imperialist India, USA has put the peace of not only South Asia but whole world on stake. 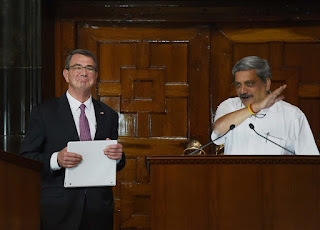 During the three day visit to India, US Secretary Defense said that US has a complete international agenda to resolve the problems of India, that time has gone when India was seen as other side of the penny in contrast to Pakistan. US support to India means that Indian atrocities in the Indian Held Kashmir would increase. India will attempt to practically execute her threats against Pakistan. Indian imperialist designs would get more violent. India has already converted herself into cache of weapons but still struggling to get more weapons. Pakistan has several times been the target of open Indian aggression. The arrest of Indian state terrorist from Balochistan shows that India has not stopped her policy of aggressive interference and terrorism in Pakistan. India is working hard to weaken Pakistan internally and whenever she will get the chance she will try to impose a war like that of 1965 or 1971 on Pakistan.